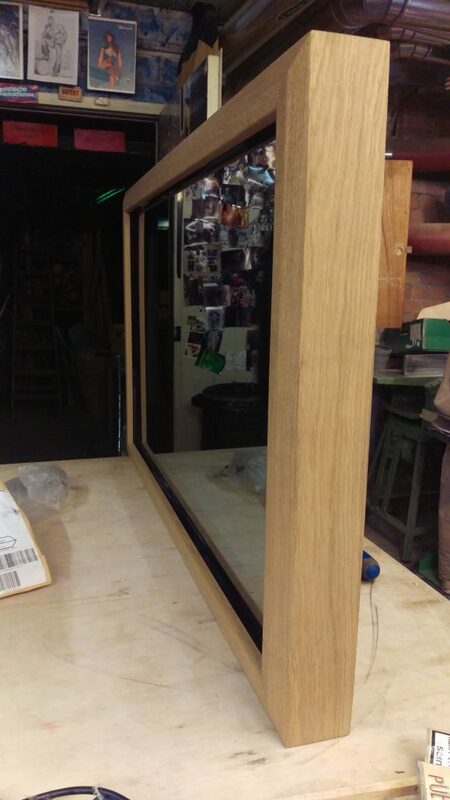 My customer wanted a replica of his existing mirror in the corridor, which should be as similar as possible to the external form of the old mirror, but should not only be a mirror, but it should also contain a flat screen and a touch interface. 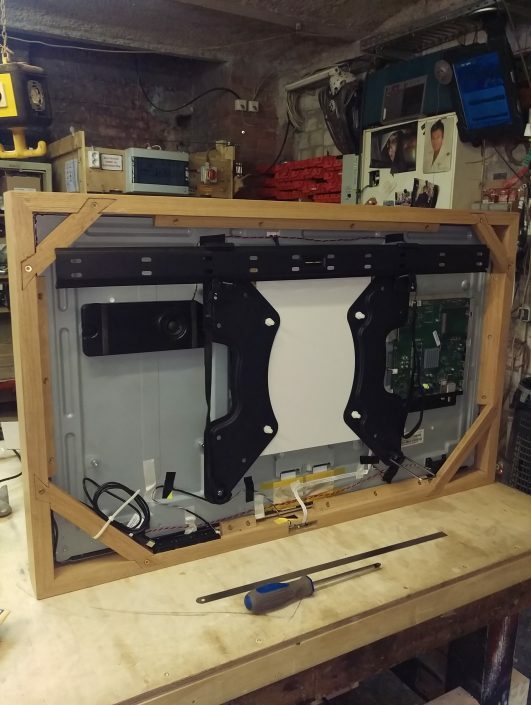 The customer had already bought a suitable television and touch interface and had a semi-transparent mirror made for it and now needed a frame construction that holds all individual components together and visually corresponds to the old mirror. 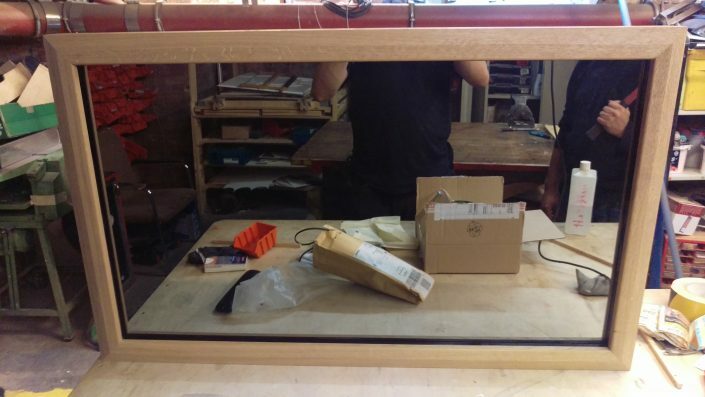 First, all the individual components had to be measured exactly before I could create the concept for the mirror. I created the technical drawings for this project with Autodesk Inventor software and submitted it to the customer for approval. 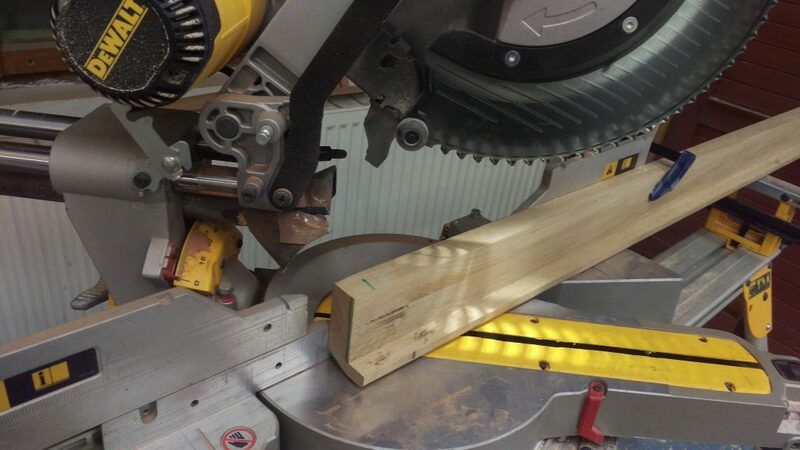 For this project, I had the possibility to buy oak planks from an oak that grew in Potsdam, which were not dried quickly in an oven, but was allowed to dry naturally and slowly in a barn for 8 years. 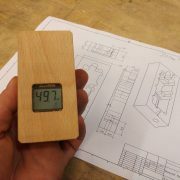 In this project, I worked again with local, sustainably grown wood that could rest and dry for several years, and from which I know the tree’s history. 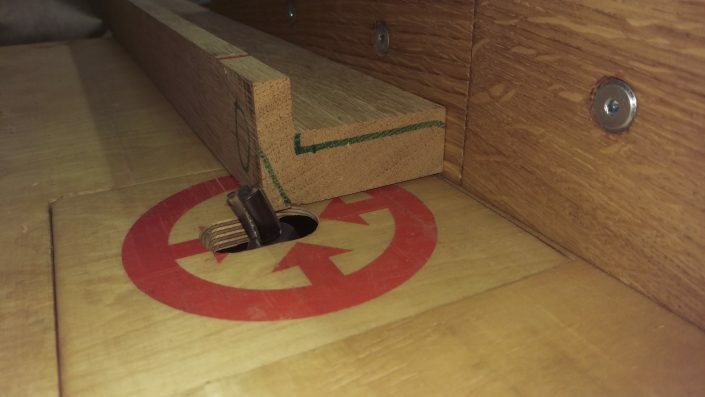 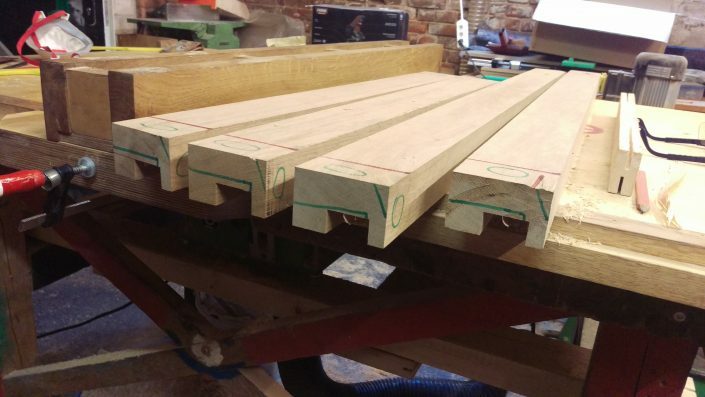 Unfortunately, I did not took a photo of the planks, the first photo of the project was made directly after the cutting and jointing of the planks. 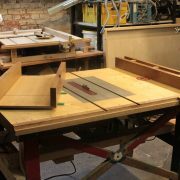 With the shop-built table saw I started to produce the profiles of the frame, which I then finished with the tilting router lift and the jointer. 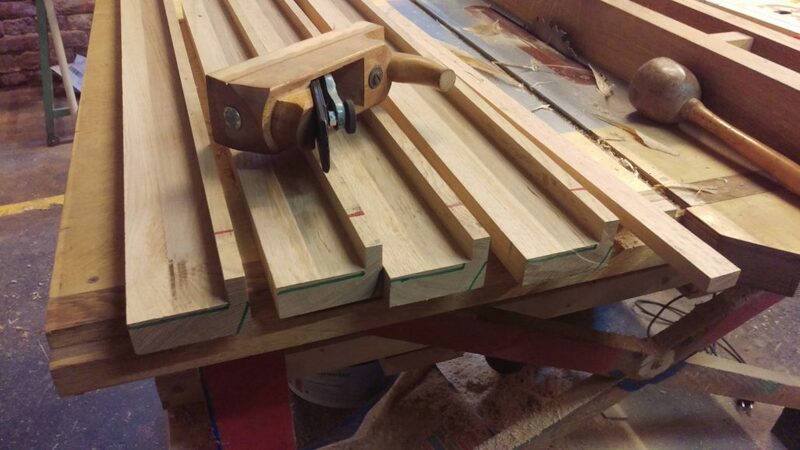 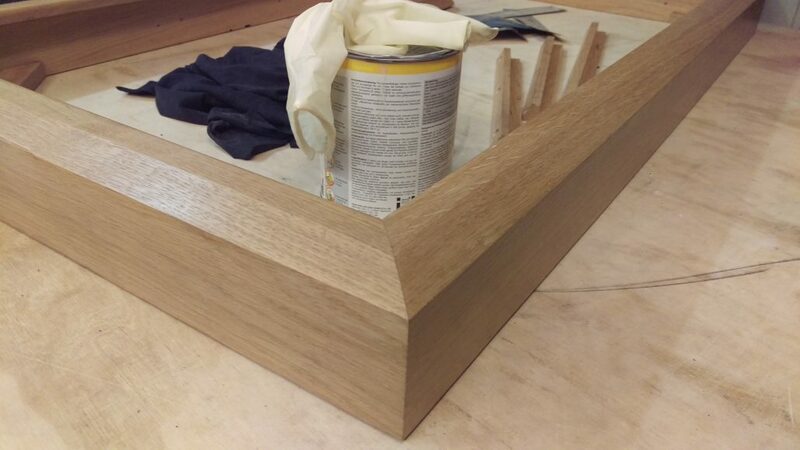 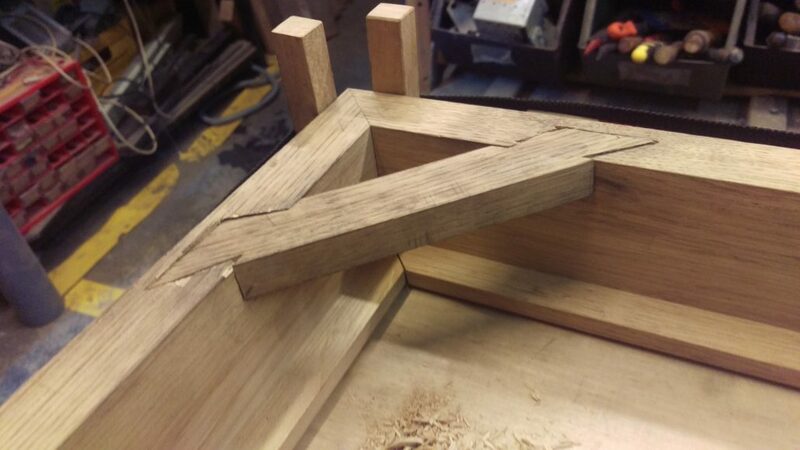 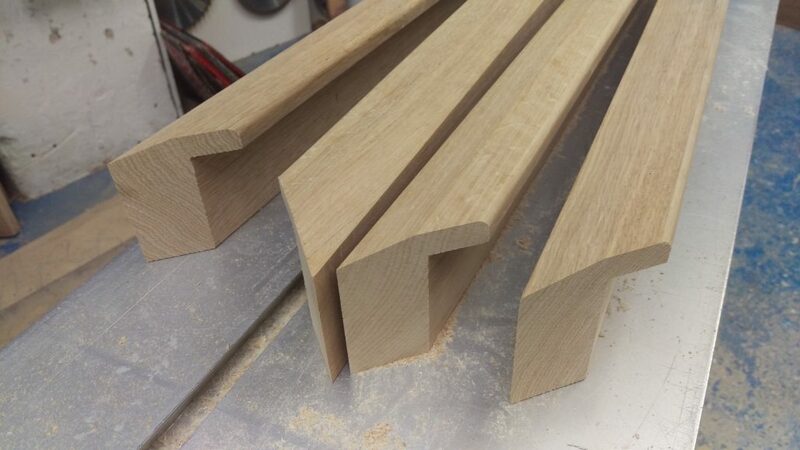 Next, the miters had to be cut and the cut-outs for the stiffening diagonal struts had to be cut by hand. 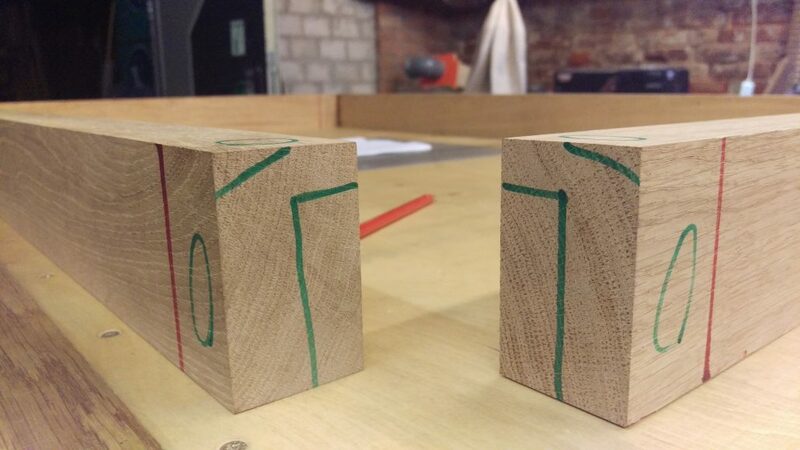 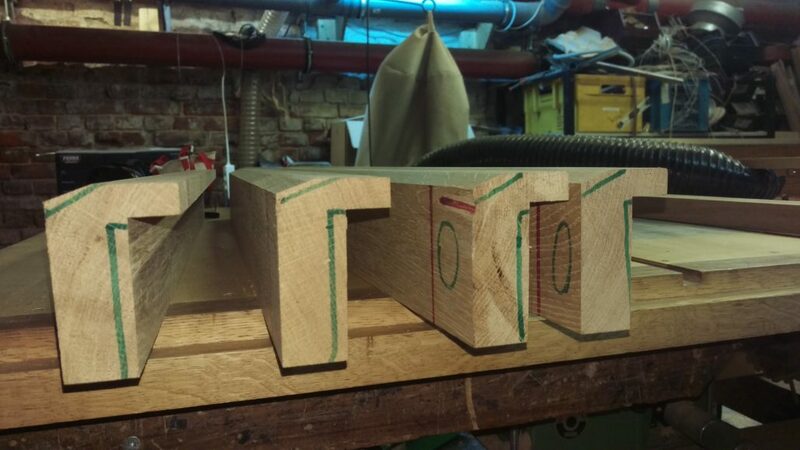 The geometry of these stiffeners corresponds to a dovetail joint rotated by 45 °, in order to counteract both pressure and tension. 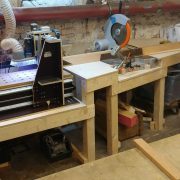 After all the cutting and shaping was finished, the gluing of the components remained. As this is a very time-critical matter, I did not take photos. 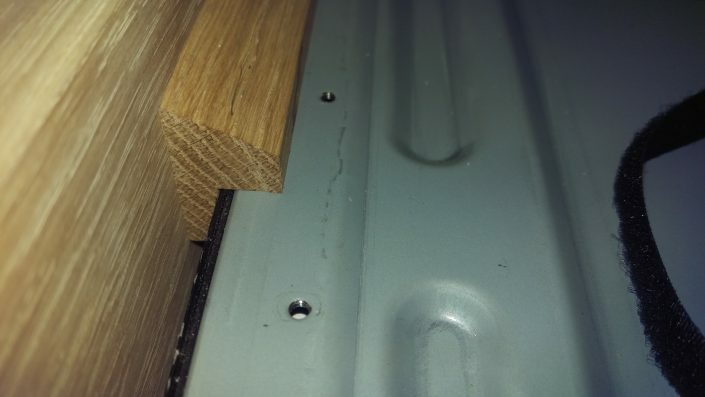 The diagonal braces are not glued to allow the flat screen or other components to be replaced if necessary. 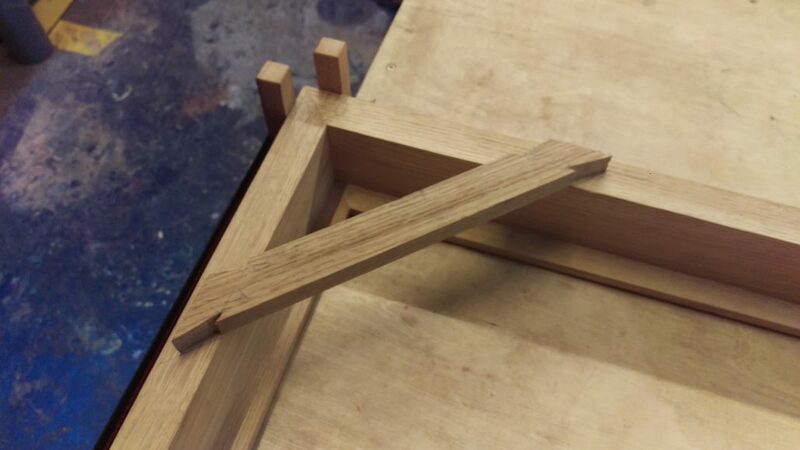 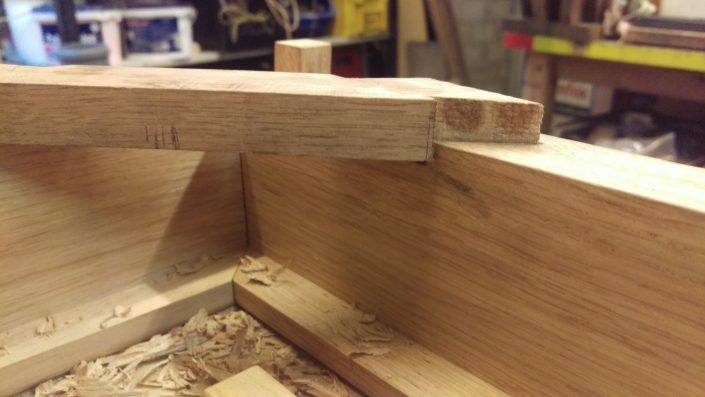 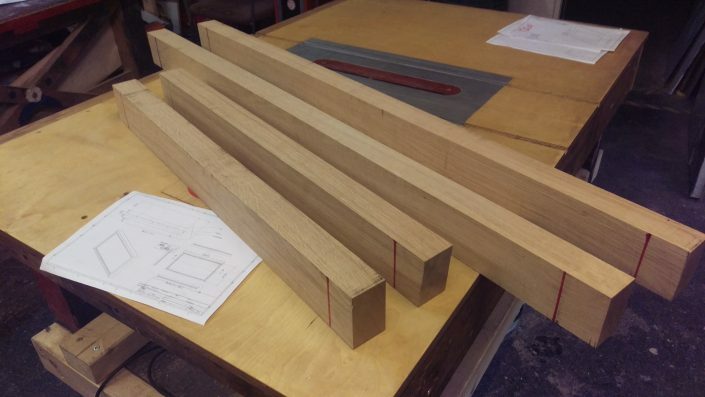 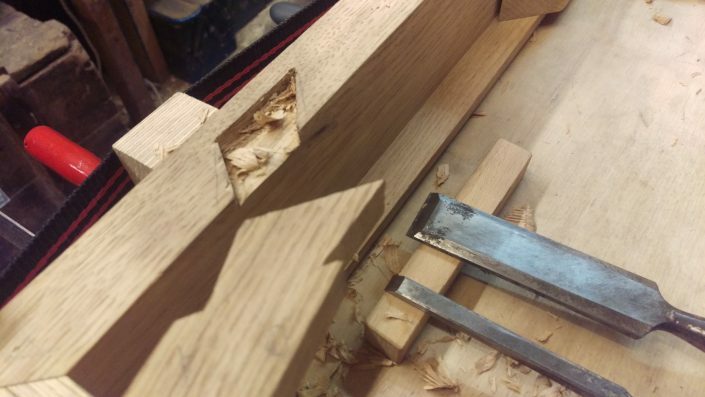 Since all four diagonal stiffeners were cut by hand with chisels and this step was very time consuming, here is a picture after all four stiffeners were fitted. 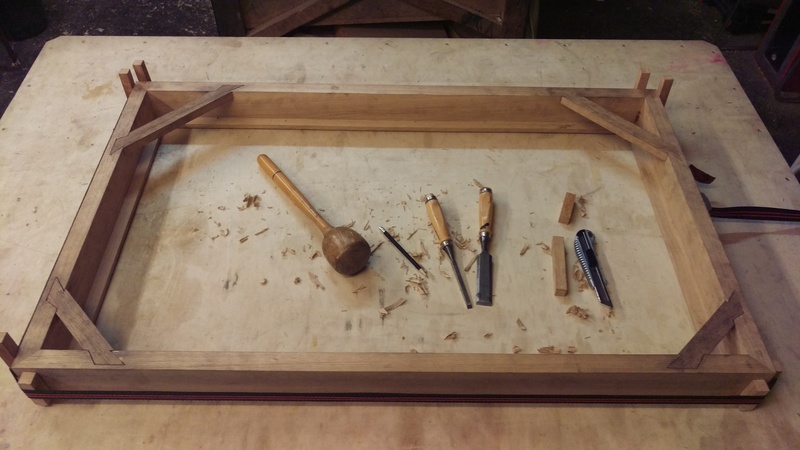 After the assembly of the frame, only the careful grinding of all surfaces and the treatment with several layers of hard oil remained. Also, a small spot for the infrared receiving module had to be cut and the spacers were mounted which precisely center the flat screen and hold it in its frame. 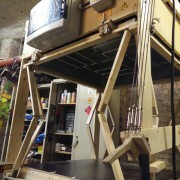 The last steps was the assembly of all components in the frame as well as a test run of all the components, luckily everything worked. 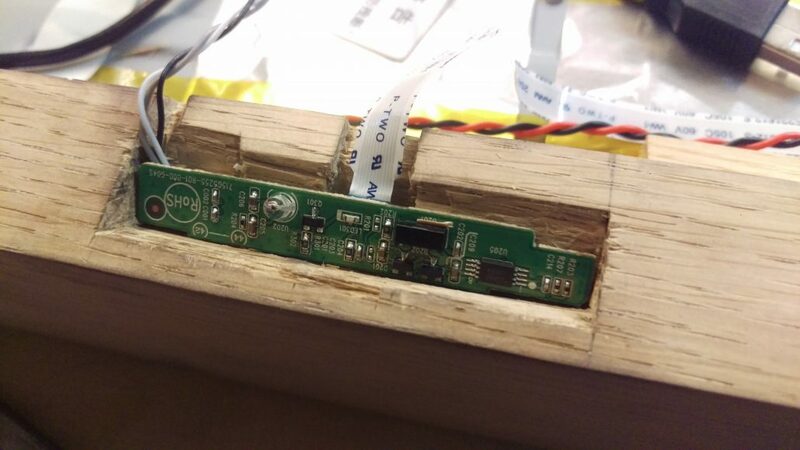 The project success has occured, all the ordered functions have been delivered and my customer is satisfied with the final product. 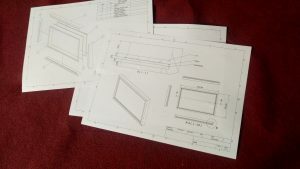 The material costs for this project amounted to about 1200 €, for the work I had done he and I found a special agreement. 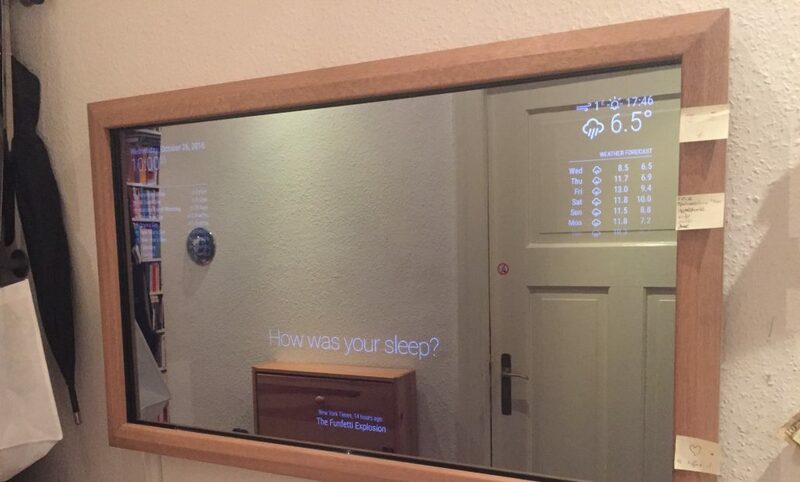 I am ready to make an individual, handmade Magictouchmirror for you, naturally you can choose not only the type of wood, but also the exact appearance and shape of the frame, the size and the surface refinement. 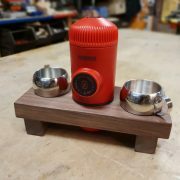 Contact me for a personal offer.